Looking for an appetizer to wow guests? Look no further. These Sweet Potato Mousse Bites are as delicious as they are beautiful. The bites are packed with flavor – avocado, lemon juice, orange zest, watermelon radish and of course, sweet potatoes! 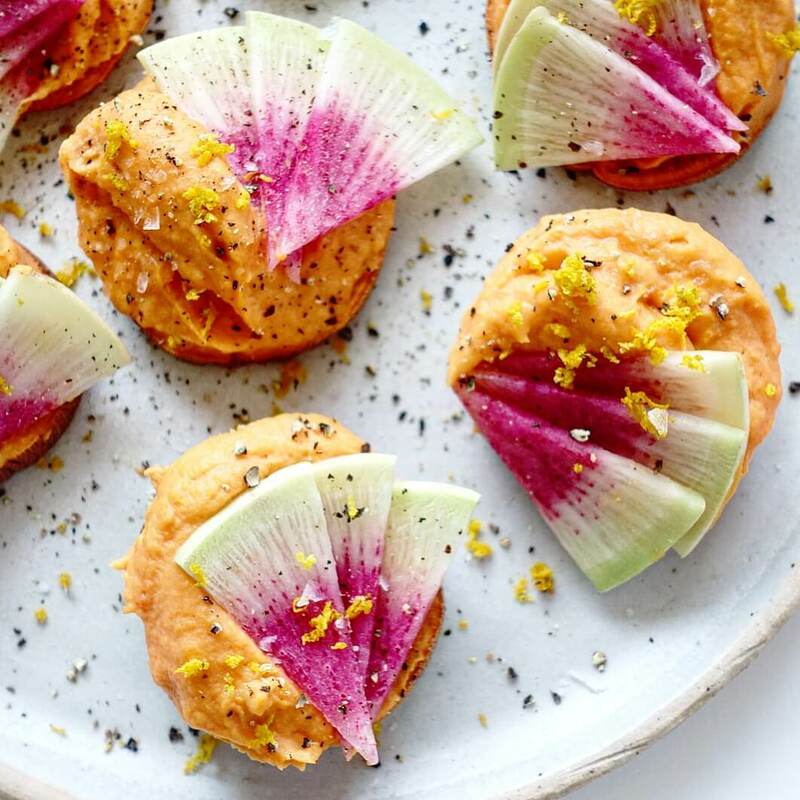 Bright and flavorful, these Sweet Potato Mousse Bites are perfect for year-round entertaining! 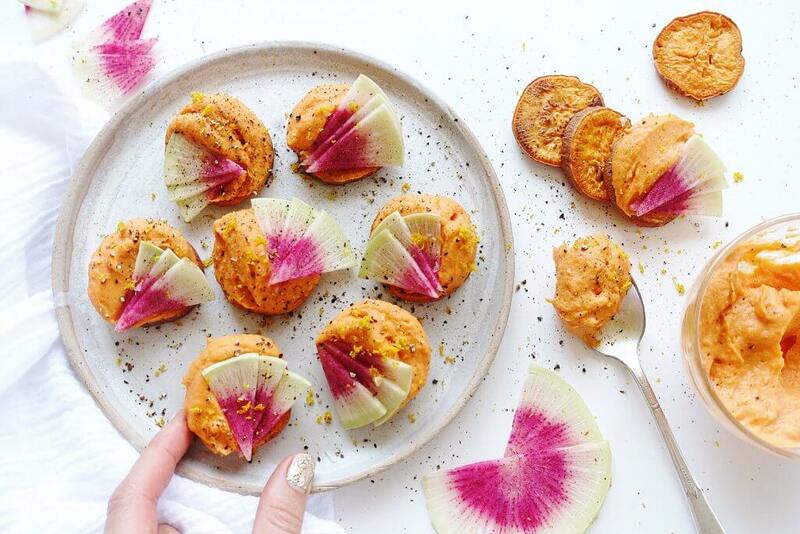 Top sweet potato rounds with sweet potato mousse, and all of the garnishes. Recipe analyzed using ½ teaspoon salt, 1 ½ teaspoons avocado oil and 1 ½ teaspoons salad dressing (regular mayonnaise, salt added).